LeadFire provides informational videos that you can optionally include in your New Patient Portals. These professional videos educate current and prospective patients on dental topics like cosmetic dentistry, tooth whitening, braces, dental implants, and more. Patient testimonials are one of the most effective ways to promote your practice. You can use your digital video recorder to get the absolutely greatest patient testimonials to post to your website. The cost of producing a web video is negligible relative to your return-on-investment. Patient testimonials are, without a doubt, one of the most effective ways to promote your dental practice with dental video marketing. A digital video recorder makes it about as easy as it can be to capture, produce and post these testimonials to your dental website. We are all part of the video generation. We’ve grown up with an average of 2.3 televisions in our homes. Our culture idolizes the people we see on video. Done properly, videos give prospective patients visiting your website a sense of your personality and credibility. It helps you gain their trust, and the medium extends a sense of authority and “celebrity” to the doctor. All of this contributes to our ultimate marketing goal: converting your Internet visitor to an appointment request. Don’t start by posting random video clips of your dental life and philosophy on your site. Don’t get carried away like a dog marking its territory! You only have one goal in posting video to your website – converting the visitor to an appointment request. A video welcome from you, the doctor, helps reassure prospective patients that they’ll be in good hands. With so much video content available online, more and more dentists are adding video to their dental websites. The New Patient Marketing Machine from the Internet Dental Alliance lets dental practices do just that. You can add your own videos to your website, or choose from IDA’s library of dental marketing videos. Here’s how IDA can help you with dental website video marketing. There are many ways to incorporate video into your IDA dental website. Under “Video Libraries,” you’ll see that you can use stock videos from our Basic Video Library, or subscribe to our Premium Library for access to even more pre-made videos. Under “My Videos,” you can upload the MP4 files of any videos you’ve made yourself, or you can embed videos from YouTube, Vimeo, or other video sharing websites. Under “Insert Videos,” you can insert videos not just on your home page but into many different pages of your website. Under “Video Gallery,” you can create a page on your website that features any videos you like, such as patient video testimonials. Under “Home Page Features,” you can add a link on your home page that highlights your Video Gallery. Under “Doctors,” you can add a personal video to each doctor’s profile. 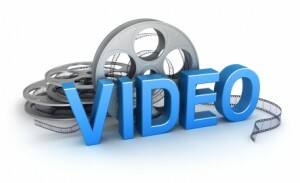 Remember, adding video to your website helps you attract more new dental patients. In your New Patient Control Panel, select “Video Libraries” on the left to preview videos from IDA’s gallery. You can see all available videos on the “Stock Videos” page. Click the Play button next to any video to watch it. Some of the stock videos in the IDA Library tell patients more about specific types of dentistry like dental implants, veneers, or sedation. Other stock videos offer patient education on dental products such as Invisalign, NTI-tss Plus, and Zoom tooth whitening. Some of the stock videos in IDA’s library are designed for specific pages on your website. These videos quickly tell patients about what they can do on that particular web page, whether it’s the Financial Arrangements page, the Meet Our Doctors page, the What We Offer page, the Dental Articles and Info Center page… you get the idea. View all the videos in all the libraries by clicking “Stock Videos.” Use the filter menu at the top right to view only videos within a particular library. And remember, you’re not limited to just the videos in our libraries! You can add whatever video content you want to your IDA websites by uploading your own videos or embedding YouTube clips. Record more videos of yourself to use on the website. Tell patients more about yourself, your dental practice, and the services you offer. In addition to a short welcome video for your home page, we also recommend recording a slightly longer video that focuses on the website’s target dental market. Add videos that are already posted on video sharing sites elsewhere on the internet. YouTube is, of course, the most popular. The Home Page is the most important page of your website. There are three places on your home page where you can put video content. If you put video everywhere, your website will look cluttered and confusing. No one will know what to watch or where to click. You can put a large video in the left column of the page, or you can have a smaller video on the right side of the page, or you can replace the rotating promotion box with a video. The exact placement of your video may be slightly different in different website design templates. Which videos you use and where you put them will depend on your web design and marketing goals. You can also fill some of these slots with videos about general dental topics – like tooth decay or dental makeovers – or the specific types of dentistry or dental products you offer – things like dental veneers, implants, or sedation. Use ready-made videos from the IDA Basic Library or Premium Subscription Library. Embed relevant videos from YouTube or other video sharing sites. Or record your very own website videos. For practices has multiple doctors, it’s a good idea to record an individual video of each doctor. In the “Doctors” section of the Control Panel, you can manage each doctor’s profile. Click the “Edit” icon, and you’ll see that the dentist’s profile includes space for a doctor video. This video will be shown on that dentist’s “Meet the Doctor” page. This should be a video of the individual doctor introducing him- or herself, talking about their background, their clinical skills, their accreditations, their personal philosophy, and even mentioning their hobbies, just to give it that personal touch. Potential patients will feel like they know the doctor, which makes them more likely to request an appointment. If we go back to “Insert Videos” underneath “Customize Portals,” you’ll see that one of the places where you can add video are the dental market pages. These are search engine optimized pages that offer more information on your primary and secondary dental markets: dental implants, family dentistry, cosmetics, dentures, etc. This is a great place for a video that tells patients more about that particular type of dentistry. To increase the your Video Gallery visibility, add a Home Page Feature to your website that highlights your Video Gallery. If you’re using that page for patient video testimonials, you might add a “Meet Our Patients” or “Video Testimonials” feature to your home page. Adding video to your dental website is easy with the online Control Panel. You can use IDA’s stock videos, or add your own videos. Go to “My Videos” underneath “Photos, Videos & Files.” Click the “Add Video” to add your own. You can upload an MP4 file from your computer, or embed videos from YouTube or Vimeo. The HTML embed code starts with an angled bracket. Copy all of this code and paste it into the Control Panel. If you can’t click the “Next” button, try minimizing the browser or opening another program. When you go back, the “Next” button should be clickable. Then add your video title. It’s also a good idea to write a description; this will be shown on your website. You can also add tags, which won’t be visible, but will improve your search engine results positioning. When you click “Next,” you’ll see that the thumbnail image says, “No Image Available,” and the clip is of an unknown duration. That’s okay. Since the video is hosted on an outside website, the Control Panel does not know this information. Click “Save” and then close the window. The HTML Snippet videos look a little different inside of your Control Panel. But don’t worry. When you add one of these videos to your website, it will in fact have a still image, and it won’t be zero seconds long. That’s just how it appears within the Control Panel. You can than add this video to your website by using the “Insert Videos” interface underneath “Customize Portals.” Videos can also be added to your website’s “Video Gallery,” or to individual doctor profiles. If you’re not satisfied with how your videos look or play on your website, check out the “Video Troubleshooting Guide” and “Video Specifications” for technical details, including recommended video size.